Amorphous Alloy is a cored wire specifically designed for arc spray systems. It produces an amorphous, hard, abrasive and corrosion resistant coating, with a service environment up to 1700° F. The inclusion of 2.0% aluminum in the formulation results in extremely high bond strength and particle to particle adhesion. High chrome like finishes can be obtained by typical grinding and lapping techniques. Vecalloy B can be used in a wide variety of high wear applications, anti-skid surfacing applications and corrosive environments. It can equivalent to Vecalloy B. 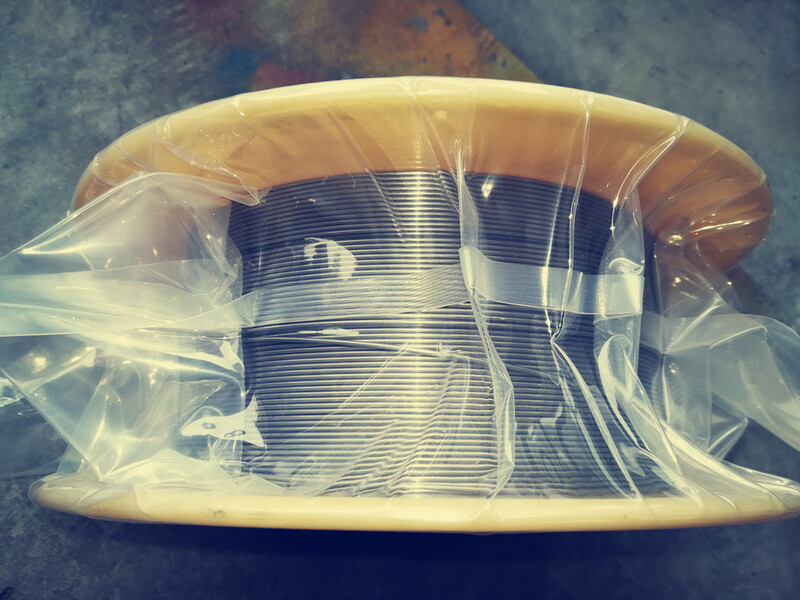 Our wire with high quality but cheaper price compare the wire got from Polymet. Our wire qualtity has been got customers approval. We supplied 1.6mm/3.17mm around 15~20 tons to different type clients from all over the world. The below picture is a sample that we will send to customer in UK for testing.